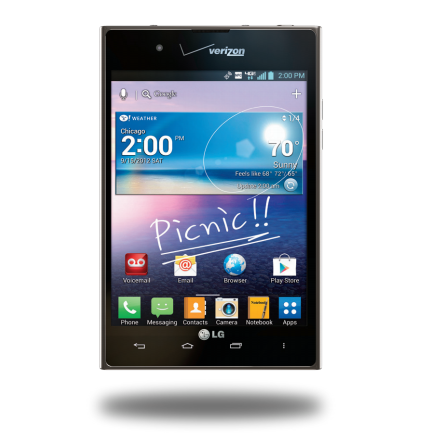 Verizon's LG Intuition has long been an awkward kid at the lunch table. 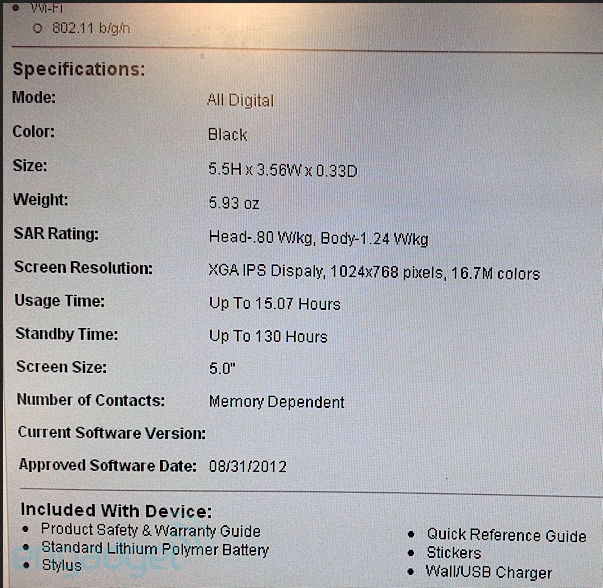 With a 5" display at 4:3 resolution, it's had a difficult time being accepted, much less competing. Even so, it has not been completely forgotten – Verizon is preparing to roll out a maintenance update to the device that will remove the Color and V Cast apps, fix some assorted bugs, and should improve speakerphone quality. There is one curious detail to this update, it also adds the Amazon Appstore. 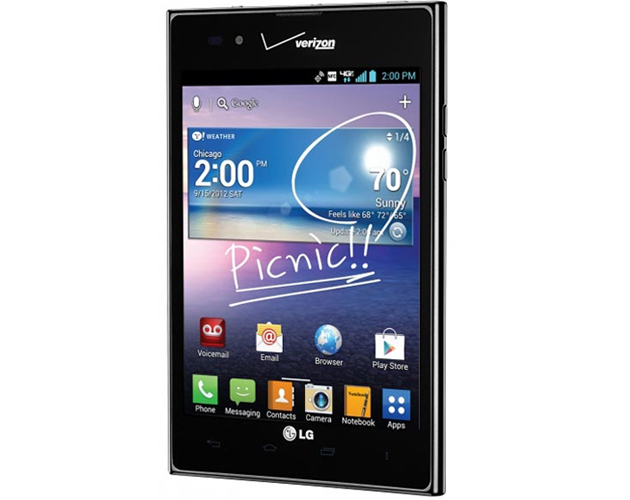 Update: The price of the LG Intuition on Amazon has been dropped to a penny, a full $150 less than you'd pay at Verizon. We doubt this deal will last long, so if you're in the market for one (why? ), now's the time to buy. 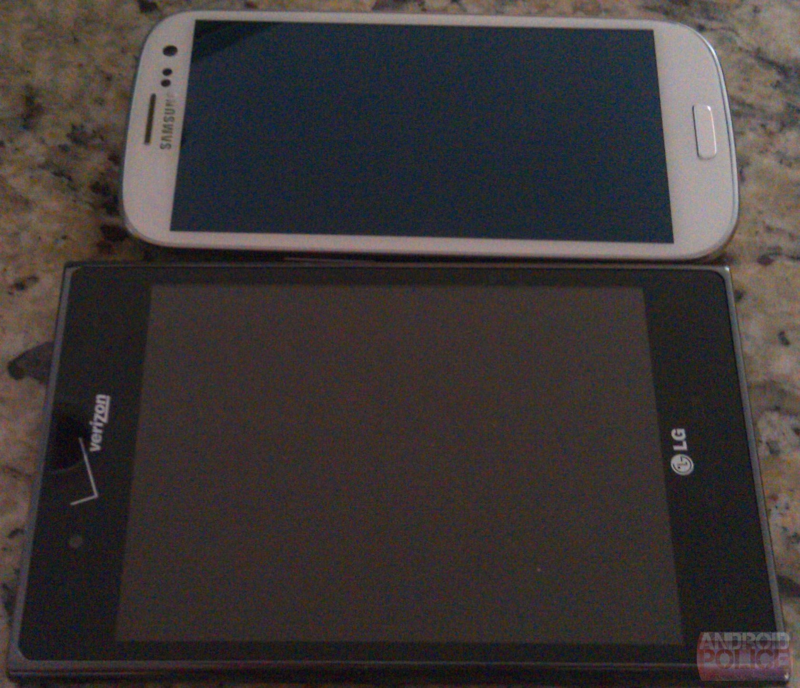 Maybe you like the whole phablet idea. 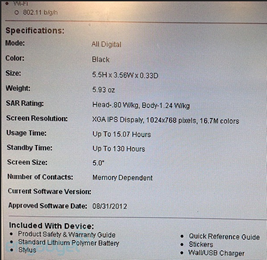 Maybe the thought of a handset with an aspect ratio which rivals that of your old CRT monitor sounds like a good thing to you. Three short days ago, we heard that Verizon could be launching the behemoth LG Intuition - America's version of the Optimus Vu - beginning on September 6th. Looks like that leaks was pretty much dead-on, as Big Red just officially took what wraps were left off of this oversized monstrosity. 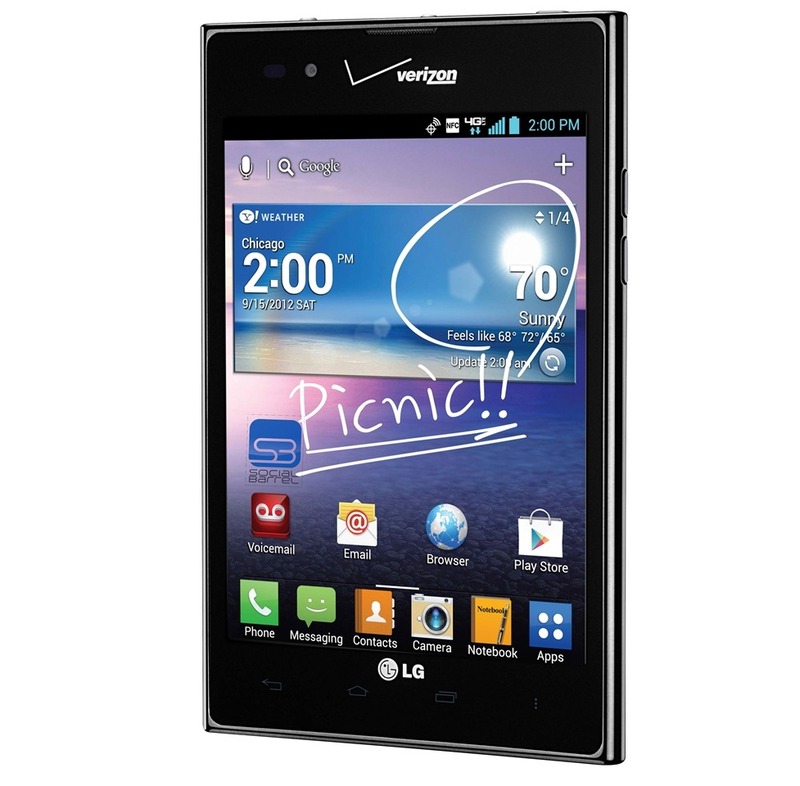 Available online from September 6th and in-stores on the 10th, the LG Intuition packs a massive 5" 4:3 display, 1.5Ghz dual-core Snapdragon processor, 1GB RAM, 8MP rear shooter, 1.3MP front camera, and Android 4.0. 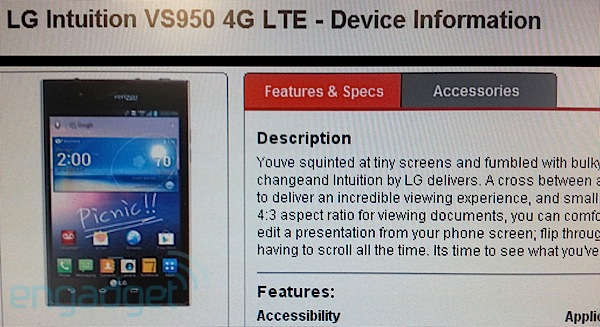 For those who may be unaware, the Intuition is Verizon's version of the oddly proportioned LG Optimus Vu. 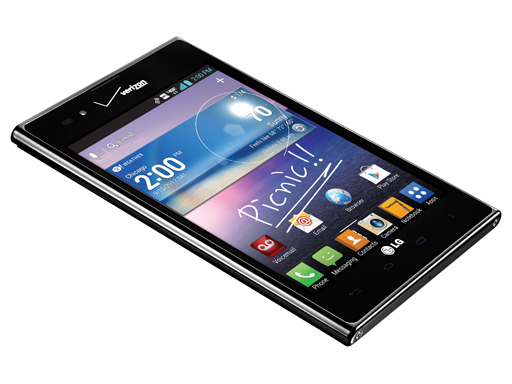 Featuring a 1.5GHz Qualcomm Snapdragon S4, 1GB RAM, 8MP rear shooter, Android 4.0.x, and 4:3 5" 1024x768 display, the Intuition is the device designed for folks with big and hands and even bigger heads. 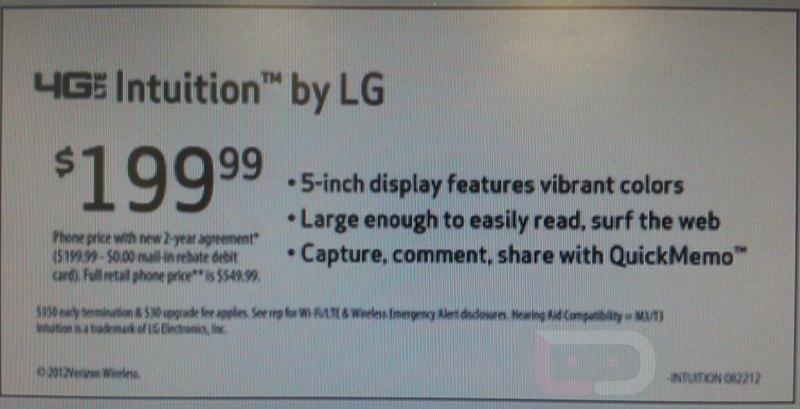 We've known for a while that Verizon is slated to get its own variant of the massive LG Vu, but it seems the "Vu" name just isn't good enough for Big Red. 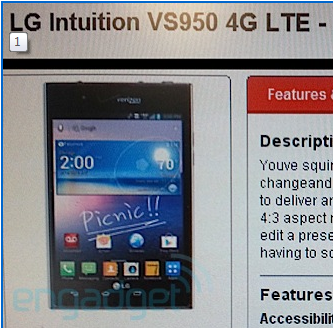 According to a new leak that landed in the hands of Droid Life, the Vu for Verizon is slated to be named the... wait for it... LG Intuition. While we don't know exactly when it will be available, the Vu Intuition should be available for $199 with a two-year agreement ($549 off contract). 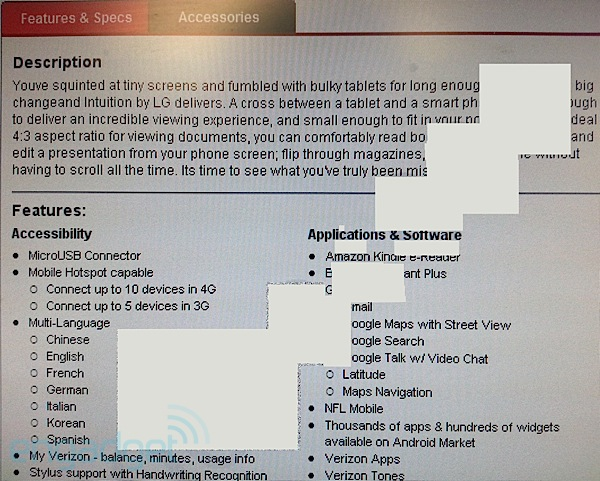 Looks like this is as close as we're getting to a phablet on Verizon; unless, of course, the rumored 5" HTC monster becomes a reality.